Jenny Kassan has over two decades of experience as an attorney and advisor for mission-driven enterprises. 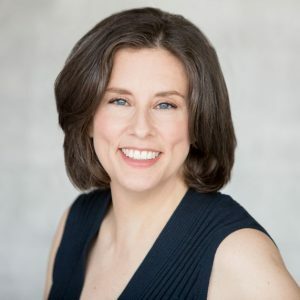 She has helped her clients raise millions of dollars from values-aligned investors and is certified as a coach by the International Association of Women in Coaching. She is the author of the forthcoming Raise Capital on Your Own Terms: How to Fund Your Business without Selling Your Soul (Berrett-Koehler, October 2017). Kassan earned her J.D. from Yale Law School and a masters degree in City and Regional Planning from the University of California at Berkeley. Before becoming a securities lawyer, she worked for eleven years at a nonprofit community development corporation in Oakland, where she served as staff attorney and managed community economic development projects including the formation and management of several social ventures designed to employ and create business ownership opportunities for low-income community residents. She is the President of Community Ventures, a nonprofit organization dedicated to promoting the economic and social development of communities. She co-founded the Sustainable Economies Law Center, a nonprofit that provides legal information to support sustainable economies, and co-founded Cutting Edge Capital, a consulting firm that helps social ventures raise capital in alignment with their goals and values. Kassan is a member of the Content Advisory Panel of Conscious Company Magazine and serves on the advisory boards of Lioness Magazine and Investibule. Jenny Kassan Consulting is a certified B Corp and member of 1% for the Planet. Contact Jenny Kassanfor speaking terms and dates.